The Doyle Law Firm has represented thousands of individuals across the State of Alabama in serious personal injury and product liability cases, including wrongful death actions, in a variety of civil lawsuits - asbestos, dangerous drugs, construction site injuries, car wrecks, motorcycle accidents, negligence, trucking accidents, and toxic exposure to chemicals. We have a track record of success. If you or a loved one was seriously injured due to the negligence of another (or a company), we may be able to help. Call us today for a consultation. Serious personal injury and wrongful deaths happen on construction sites more often than people realize. Accidents on a construction site can be the result of many problems, including inadequate safety inspections, someone else's negligence, poor equipment and OSHA violations. Owners and general contractors are obligated to keep construction sites safe. We have experience handling cases dealing with a variety of construction site accidents, especially in determining the complex liability situations involved when there are many different contractors on a site. We also understand the complexities of Alabama laws that deal with issues of owner, agent and contractor liability. Whether you are a worker severely injured on the job or an innocent passer-by injured near a construction site, the Doyle Law Firm construction accident attorneys have the experience and expertise to handle your case and will work to get you the maximum monetary reward possible. If you were injured by a welding rod, a nail gun, heavy equipment, a chemical leak or an explosion, or by falling from a height, we have the legal skill and expertise to win for you. We've handled cases across the Southeastern United States and proven our ability to fight for the best interests of our clients. Our team of personal injury attorneys can provide sound legal counsel and aggressive, thorough representation. Construction site accidents bring into play specific insurance and state laws and regulations. Our knowledge can help you to recover against large, powerful insurance companies. We will prove liability, negotiate on your behalf, and make sure you receive proper medical care and full monetary compensation. Filing a construction site injury lawsuit can help you recover the appropriate compensation for the injuries and medical care you'll need as you deal with the recovery process. Oftentimes, a construction site injury is serious and long term care becomes necessary. If you choose the Doyle Law Firm, PC to represent you, you can count on compassion, respect, a high degree of caring personal service. You can also count on quality legal experience and expertise in personal injury litigation. 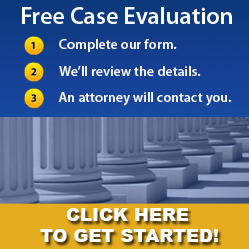 Call our Birmingham, Alabama, office today for a free consultation. Our office number is 205.533.9500. Put our experience, reputation and success to work for you.